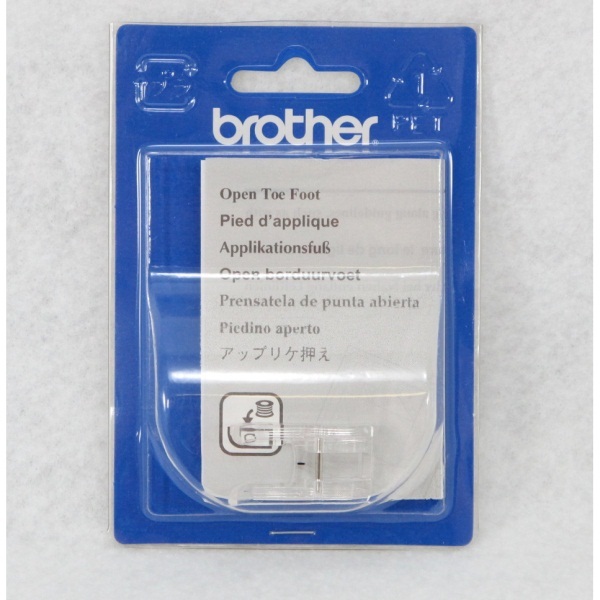 The clear-view Brother SA147 7mm Open Toe Foot is designed for easy viewing of stitches, seams and pattern markings. Wide needle area opening is designed for use with decorative stitches. The horizontal needle area opening is made for wide range of left to right needle positions and added sole pressure.